Buena Vista Street: - Buena Vista Street is the first “themed district” inside the main entrance of California Adventure Park taking its name from the Burbank Street on which the Walt Disney Studios are located. Stroll past charming interpretations of historic buildings — complete with Art Deco storefronts, Spanish-tile roofs, wrought-iron balconies, hand-laid tile mosaics and shade trees. 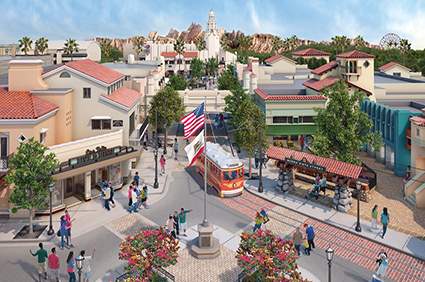 Ride the Red Car Trolley, sip a coffee at Fiddler, Fifer & Practical Café or enjoy an elegant meal at Carthay Circle Restaurant. Condor Flats: - Condor Flats is themed around an airfield in tribute to California’s pilots and engineers from the 1940s to the mid-1960s and the era’s aeronautical achievements. Here you can enjoy the remote desert landing, where men and women design, test and fly innovative aircraft with the goal of breaking the sound barrier and beyond. Grizzly Peak: - Grizzly Peak is themed around California’s wilderness and national parks with particular references to Yosemite and Redwood national parks. 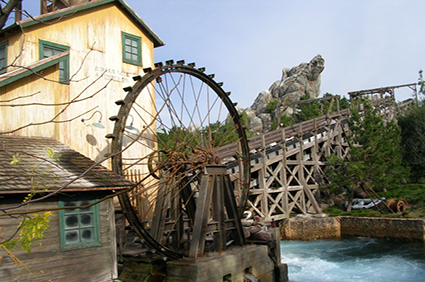 Its main attraction is Grizzly River Run, a Gold Rush-esque river rapids ride around the summit of Grizzly Peak. Nearby is the Redwood Creek Challenge Trail; a playground area that includes elements from Disney’s Brother Bear and Disney•Pixar’s Up. 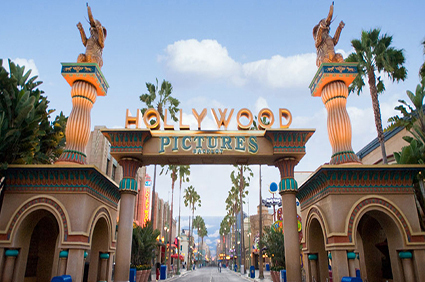 Hollywood Land: - Hollywood Land is an area inspired by the Golden Age of Hollywood in the 1930s. 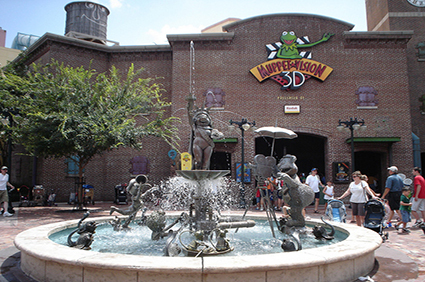 It includes attractions based on film, television, theater and a subsection called Hollywood Studios which is designed to appear as an active studio back-lot. A Bug’s Land:- A Bug’s Land is seen from the point of view of Flik, the inventor ant from the Disney•Pixar film A Bug’s Life, where over-sized human items are scattered throughout. 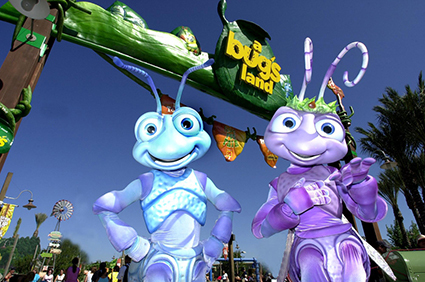 It features Flik’s Fun Fair (a collection of themed, family and child-friendly attractions such as Flik’s Flyers, Francis’ Ladybug Boogie, Tuck & Roll’s Drive ‘em Buggies, Heimlich’s Chew Chew Train, and Dot’s Puddle Park) and It’s Tough to Be a Bug. A 3D film based on A Bug’s Life. It opened as the park’s first expansion in 2002 to expand the park’s family-friendly attractions. 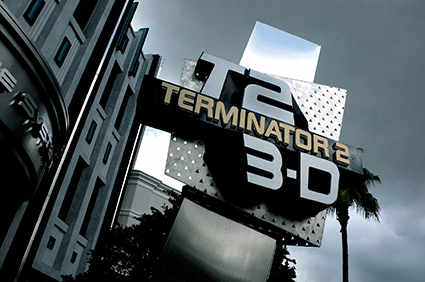 Terminator 2:3D:- T2:3D battle across time is an attraction at various Universal Studios parks around the world including those in Florida and Japan. This battle for the future between humans and cyborgs unfolds your eyes. A super- 3D movie that makes you reflexively lean back comes up close, and suddenly the hero on screen appears on stage. The show is presented in two parts; a pre-show where a Cyberdyne Systems company hostess shows guests a brief video presentation about the company’s innovations, and the main show, where live performers interact with a 3-D film. 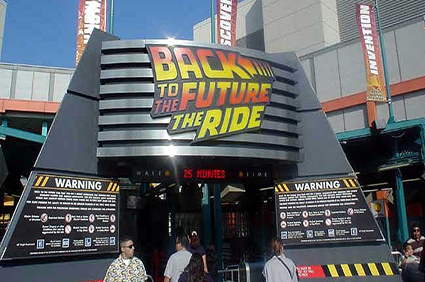 Back to the Future ride: - Back to the Future: The Ride is a simulator ride at Universal Studios Japan. It is based on and inspired by the Back to the Future film series and is a mini-sequel to 1990’s Back to the Future Part III. The ride was previously located at Universal Studios Florida and Universal Studios Hollywood, where it has since been replaced by The Simpsons Ride. The ride story centers on a first-person adventure through time, in pursuit of Biff Tannen, the trilogy’s villain. This is a stunning ride that lets you travel through space and time and experience thrills mankind has never encountered before. 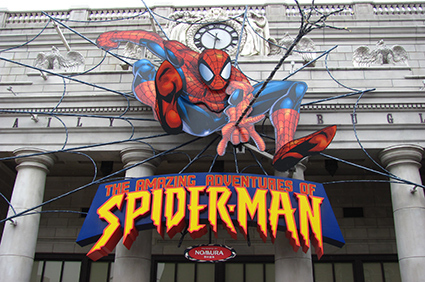 Spiderman: - The world’s best attraction and the first to win world’s best ride award for seven years. It has been transformed in to a whole new ride by gaining the world’s best technology. Unbelievable impact that confuses the imaginary world with the reality. And the series of special effects over 100 will give you an incredible immersive experience. You will encounter an all new kind of excitement. 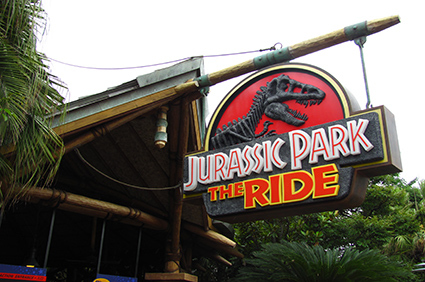 Jurassic Park: The Ride: - Explore Jurassic Park thickly covered with tropical trees. This is an impressive river tour to encounter dinosaurs roaming around the land and witness the wonders of the science which brought back dinosaurs to life. But a raging T. Rex is waiting. You’re in a desperate situation and to escape from the attacking T. Rex, the boat takes a 25.9 meter drop! Jaws: - A boat tour at a peaceful port town with relaxed air. It starts out in a friendly mood, but suddenly a gigantic, man-eating shark appears, throwing everyone into the depth of fear. Rifles and wall of fire are no match to this unimaginably huge body. With its humongous mouth and sharp teeth, it can even bite a hole in the bottom of a ship. 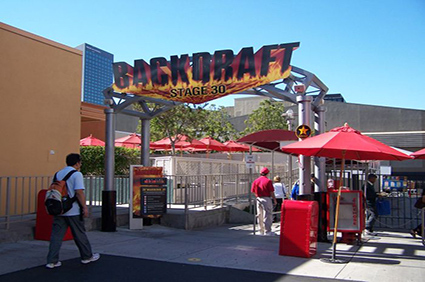 Backdraft: - This is more a show than a ride and suffered a little from a lot of explanations and pre-show movies that were in Japanese. Still, the eventual flame show in a chemical factory was a masterpiece of creating a real repeatable fire in a very controlled environment. There are also many things to see at this amazing park a lot of which predictable involve place to shop or place to take pictures. 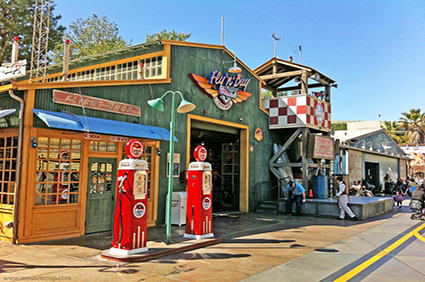 Each ride has a themed shop on the exit and also there are several American themed restaurants around as well. The prices are reasonable. 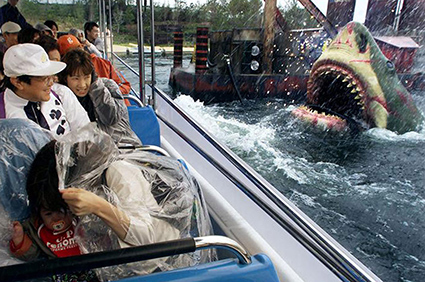 So what are you thinking plan a trip now to Universal Studios, and experience these rides. Travelation is offering you huge discount on airfares to worldwide destination. Check out all details here: http://www.travelation.com/ also you can us toll free number @877-247-7183. We will happy to help you. Disney’s Hollywood Studios is the third of the four theme parks built at the Walt Disney World Resort in Bay Lake, Florida on May 1, 1989. The total area it covers is 135 acres and every year it hosts approximately 10.11 million guests, making it the fifth most visited amusement park in United States and eighth most visited in the world. The park is currently represented by “The Sorcerer’s Hat”, a stylized version of magical hat from Fantasia. 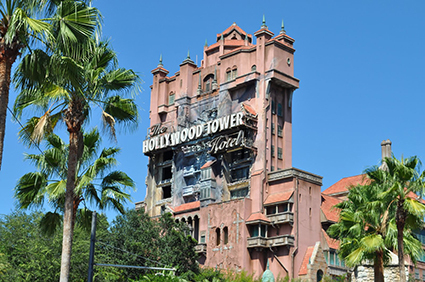 It replaced the Earful Tower as the park’s icon in 2001 and will continue to serve that role until its removal in 2015. 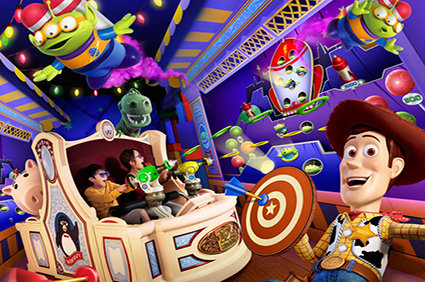 Toy Story Mania: - It is a 3D screen based shooter game with Toy story character. Since it opened, this has become one of the most heavily-hyped attractions at Walt Disney World, drawing ridiculous standby wait times. It is the only ride in the park geared towards kids, which meant that regardless of quality, its line would be fairly long. It is a fun game based attraction and it look like a Wii game. The line has some fun props, but the ride itself is entirely screen based. It is superficial and of long duration but guests really enjoys it a lot. Beauty and the Beast: Live on Stage: - It is a Broadway style musical at the 1,500 seat theater of the Stars on Sunset Boulevard at Disney’s Hollywood Studios. It is based on the popular animated film Beauty and the Beast including many of the original songs and characters. While most of the soundtrack is prerecorded, the actors playing Belle and Gaston speak and sing live. 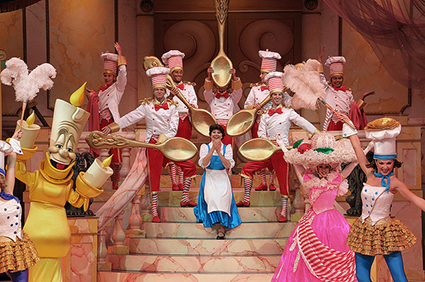 Two versions of the show have been presented since opening day. Twilight Zone Tower of Terror: - A free fall thrill ride set in the Twilight Zone with an elaborate lead-in and excellent story. This is the best Walt Disney World attraction to open in the last 20 years. We often hear from guests who don’t ride this because they don’t like thrills, but that’s a mistake. Yes, it’s technically a thrill ride, but it’s so much more. MuppetVision 3D:- 3D show featuring the Muppets. If you have a sense of humor you will love it. The pre-show is actually the highlight of MuppetVision and it can fairly be described as sidesplitting. To watch the whole show make sure you arrive early enough. The main 3D show is good and uses the typical 3D schemes and characters. The sharp script in the pre-show is incredibly nice. Star Tours—The Adventures Continue: - It is a 3D motion simulator montage ride through various locations in the Star Wars universe. Star Tours is a motion simulator attraction. 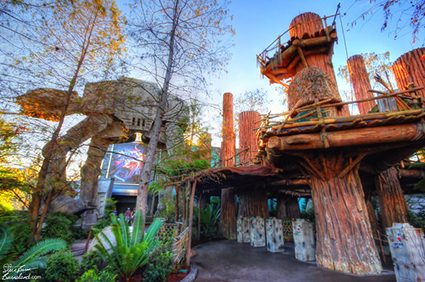 The ride is based on the successful Star War film series created by George Lucas. At its debut at Disneyland in 1987 it was the first Disney attraction based on a non-Disney film. 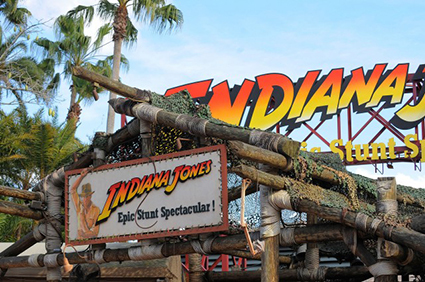 Indiana Jones Epic Stunt Spectacular: - A stunt show themed to Indiana Jones. Despite its age, Indiana Jones Epic Stunt Spectacular still works. It features a variety of different stunt styles, offers humor, and engaging narrative scenes that just work. As far as action-oriented shows at Disney’s Hollywood Studios, this is by far the best. 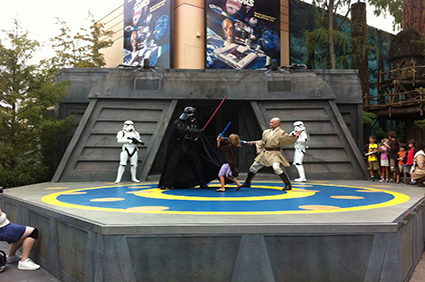 Jedi Training Academy: - Small scale stage show giving kids the opportunity to become Jedi. This is an attraction that kids will absolutely love if they’re into Star Wars and are extroverted. It’s not quite as much fun for the audience, but it’s still decent. Originally somewhat of a temporary show, Jedi Training Academy could be so much more than it is which is why it loses some points. 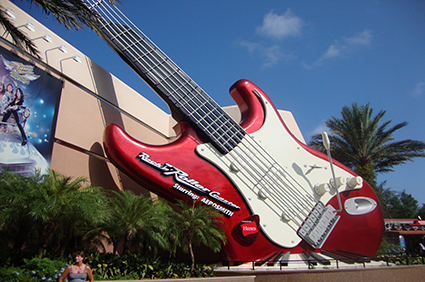 Rock ‘n’ Rollercoaster Starring Aerosmith: - Intense roller coaster with a loop, featuring Aerosmith. The pre-show and queue help make it more of a fully fleshed out experience, but Rock ‘n’ Rollercoaster is basically an unthemed rollercoaster in the dark. It’s fun, but it’s not 90-minute-wait fun. It’s a thrill for the sake of thrills attraction.